It's not too early to start planning your Florida holidays September 2019. Book now for excellent value and a great choice of accommodation. September is an ideal time to visit Florida; the school holidays are over so flights are better value and the attractions are quieter. Universal and Disney start their fun Halloween Events – enjoy them without paying October's higher prices! Our price is based on a party of three adults and three children. If you have different needs or plans, let us know. We can put together the ideal September 2019 Florida holiday for you. Get your holiday off to a flying start with Virgin! Their online check-in and seat selection facility can help save time and stress at the airport. Baggage allowance is decent and the bag-drop area is typically well-staffed and efficient. Once on-board you'll find an entertainment screen on every seatback. Choose from a wide selection of films, TV shows and games. Children will be provided with a KiD backpack of goodies to help keep them occupied during the flight. In-flight meals and drinks are included. Children can choose from a special kids' menu of favourites – there should be something for even the pickiest eaters! Read more information about flying with children on the Virgin website. Our September 2019 Florida holiday includes direct Virgin flights to Orlando from Gatwick or Manchester. If you would rather fly from your local airport (Newquay, Belfast, Inverness, Aberdeen, Glasgow or Edinburgh) we can arrange a Flybe connection for an additional fee. Your hold luggage will be checked straight through to Orlando. If you have other flight preferences, get in touch. We can design any September 2019 Orlando holiday package to suit you! 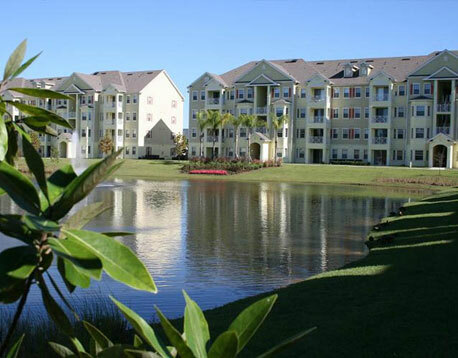 Our September 2019 Orlando holiday package includes two weeks in a Cane Island Resort apartment. The apartments have all of the comforts of home including 3 bedrooms, 2 bathrooms, full kitchen, washing machine, cable television. Cane Island is very popular with our customers. And over two hundred independent reviews on TripAdvisor average out at 4.5 stars. The resort has free WiFi, an air-conditioned gym and a heated pool. 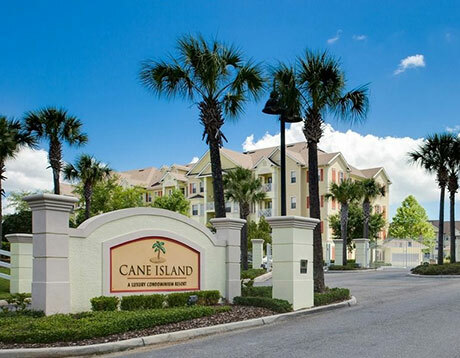 If Cane Island doesn't appeal, we have good prices for named villas, hotels and apartments. 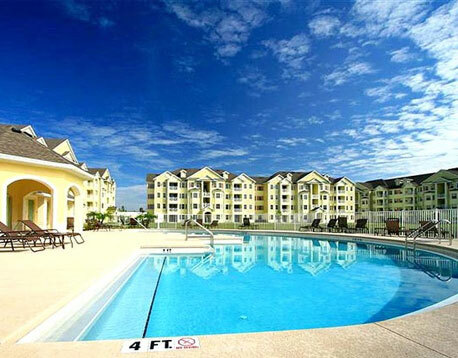 There's no shortage of great accommodation in Florida. We can tailormake the ideal September 2019 Florida holiday to suit your group. Our Orlando holiday September 2019 includes a fully-insured 7-seat minivan hire – perfect for exploring Florida at your own pace. Pick up your vehicle at Orlando International and drive directly to Cane Island Resort in about half an hour. If you want a particular model or prefer to deal with Avis, Budget or Dollar contact us. Car hire is good value in Florida and we have good rates with all of the suppliers. Let us put together the perfect September Florida holiday 2019 for your requirements. Our September 2019 Florida holiday is available from £825 per person. Book on a low deposit of just £100 per person – balances aren't due until 90 days before departure. Remember, this holiday includes flights and vehicle hire as well as two weeks accommodation – terrific value! For more information, call us on 01934 319 851 and speak to one of our friendly Florida experts today. Or complete a quick online enquiry form. All of our September 2019 Florida holidays are ATOL protected so book with confidence. It's not too early to start planning your 2019 Florida holidays. We have offers for every season – and if you don't find what you're looking for, contact us. We can put together a package to suit you. Stay in a villa, apartment or hotel. Drive a fully insured vehicle. Fly from your local airport. Book now on a deposit of just £100 per person, ATOL protected. Can't wait until September? Then how about an August 2019 Florida holiday. 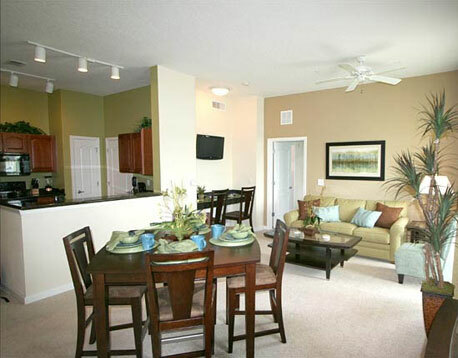 We have a terrific value package that includes 14 nights at Regal Oaks Resort in Kissimmee. Gold insured minivan hire and Virgin flights are included. Book on a deposit of £100 per person with ATOL protection. How about two weeks in Florida during the spooky season? Fly with Virgin, BA or United from your local airport and stay in a luxury Emerald Island villa. Our price even includes fully-insured car hire. The location is right next door to Disney – so close that you can see the firework display over the Magic Kingdom from your own doorstep! Book now with ATOL protection.